As French writer Jules Verne was writing Around the World in Eighty Days, we are going to take a different trip around the world in eighty drinks. Drinking is often an important part of a country’s culture, may it be alcoholic or non-alcoholic drinks, and can be a great way to get to know the locals. While we may not have enough space here to thoroughly go into the details of eighty countries and their drinks, we have picked the best of them just for you. Rejoice, it is Spring in England! Time for a glass of Pimm’s. 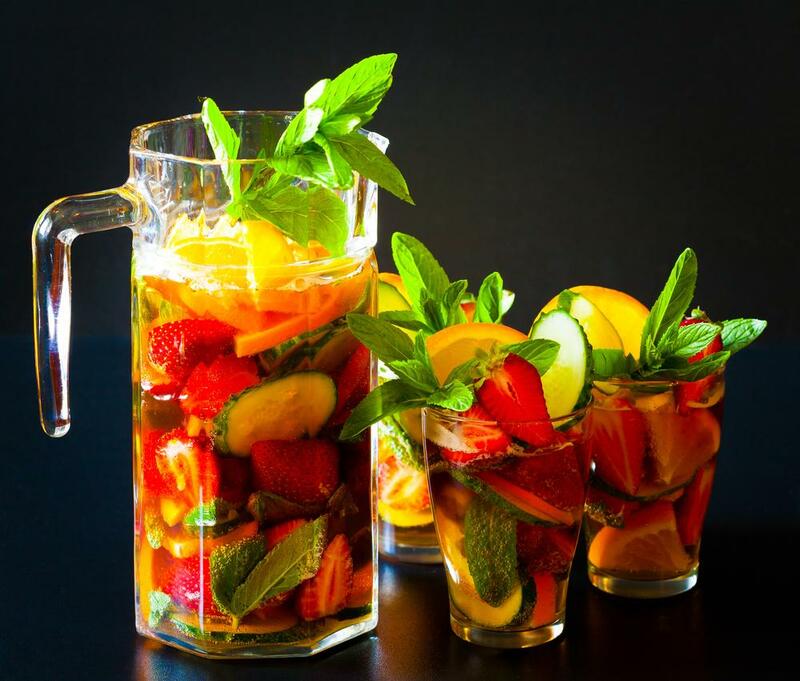 This infamous cocktail is made of Pimm’s liquor mixed with lemonade and topped with fresh fruits (strawberries, cucumbers, apples and oranges do the job perfectly). Take a train down to France and open a bottle of the best champagne in the world. Originating from a very special region named… Champagne (! ), this sparkling wine is highly appreciated to celebrate special occasions. And remember that for the French, any occasion is special. On to the East, and the Russian Vodka. The legend says that a monk named Isidore was the first to make this much-appreciated liquor, which is now famous all around the world. If you want to have it the traditional way, drink it neat. Did I just hear someone say Pisco Sour? No? Well, nevermind, let us a take a detour through Peru, where I can sip on that delicious cocktail made of whiskey, lime and some sugar. Kampai! For some reason, I just crossed the Pacific Ocean and landed in Japan with a glass of Sake in my hand. Sake dates back from the 3rd century and is made from fermented rice. It can be sipped warm or cold but has to be taken slowly, as it is twice as strong as a strong beer. After that Asian stop, I will have to go back to America, and more precisely Cuba, to get a glass of my favorite drink. Mojito everyone! Mint, lime, sparkling water, sugar and, of course, rum. What more could you ask out of life?